Mage: The Ascension features architects of reality locked in a deadly fight to see whose future will prevail: the Ascension War. But within that sometimes cosmic scope, Mage asks an intimate question: If you had the power of a god, what would you do with it… and what would IT do with YOU? Compiled rules and Magick drawn from Mage’s storied history. Every Tradition and Convention, plus the Crafts. Setting options covering the entire range of the Mage backstory, from 1993 to today. New full color original art by Michael William Kaluta, Echo Chernik, Steve Prescott, Christopher Shy, Larry MacDougall, and other classic Mage artists, as well as classic B&W pieces carefully chosen from the earlier editions. 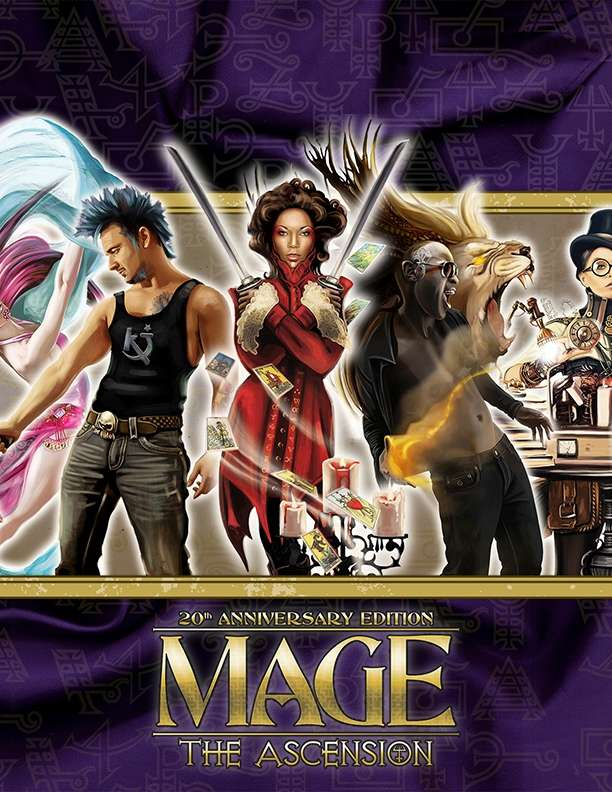 Mage: the Ascension 20th Anniversary Edition will be available soon here at DriveThruRPG!